Honeck and Frost outlast the field to claim 38th Trans-Miss Four-Ball Championship Title. Message from Amanda Kolb: At the conclusion of 36 holes the field will be cut to the following teams and ties: Mid-Amateur (20), Senior (20) and Super Senior (8). 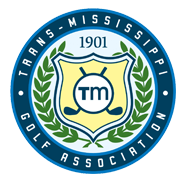 Have a question about participating in 38th Trans-Miss Four-Ball Championship?